At a time when terrorism committed in the name of Islam is rampant, we are continuously being assured—especially by three major institutions that play a dominant role in forming the Western mindset, namely, mainstream media, academia, and government—that the sort of Islam embraced by "radicals," "jihadis," and so forth, has nothing to do with "real" Islam. "True" Islam, so the narrative goes, is intrinsically free of anything "bad." It's the nut-jobs who hijack it for their own agenda that are to blame. More specifically, we are told that there exists a "moderate" Islam and an "extremist" Islam—the former good and true, embraced by a Muslim majority, the latter a perverse sacrilege practiced by an exploitative minority. But what do these dual adjectives—"moderate" and "extremist"—ultimately mean in the context of Islam? Are they both equal and viable alternatives insofar as to how Islam is understood? Are they both theologically legitimate? This last question is particularly important, since Islam is first and foremost a religious way of life centered around the words of a deity (Allah) and his prophet (Muhammad)—the significance of which is admittedly unappreciated by secular societies. Both terms—"moderate" and "extremist"—have to do with degree, or less mathematically,zeal: how much, or to what extent, a thing is practiced or implemented. As Webster's puts it, "moderate" means "observing reasonable limits"; "extremist" means "going to great or exaggerated lengths." It's a question, then, of doing either too much or too little. The problem, however, is that mainstream Islam offers a crystal-clear way of life, based on the teachings of the Koran and Hadith—the former, containing what purport to be the sacred words of Allah, the latter, the example (or sunna, hence "Sunnis") of his prophet, also known as the most "perfect man" (al-insan al-kamil). Indeed, based on these two primary sources and according to normative Islamic teaching, all human actions fall into five categories: forbidden actions, discouraged actions, neutral actions recommended actions, and obligatory actions. In this context, how does a believer go about "moderating" what the deity and his spokesman have commanded? One can either try to observe Islam's commandments or one can ignore them: any more or less is not Islam—a word which means "submit" (to the laws, or sharia, of Allah). The real question, then, is what do Allah and his prophet command Muslims ("they who submit") to do? Are radicals "exaggerating" their orders? Or are moderate Muslims simply "observing reasonable limits"—a euphemism for negligence?—when it comes to fulfilling their commandments? In our highly secularized era, where we are told that religious truths are flexible or simply non-existent, and that any and all interpretations and exegeses are valid, the all-important question of "What does Islam command?" loses all relevance. Hence why the modern West is incapable of understanding Islam. Indeed, only recently, a Kenyan mosque leader said that the Westgate massacre, where Islamic gunmen slaughtered some 67 people, "was justified. As per the Koran, as per the religion of Islam, Westgate was 100 percent justified." Then he said: "Radical Islam is a creation of people who do not believe in Islam. We don't have radical Islam, we don't have moderates, we don't have extremists. 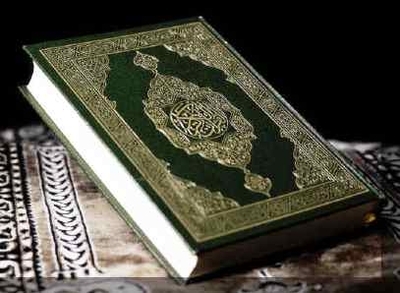 Islam is one religion following the Koran and the Sunna" [emphasis added]. Note his point that "Radical Islam is a creation of people who do not believe in Islam," a clear reference to the West which coined the phrase "radical Islam." Ironically, the secular West, which relegates religious truths to the realm of "personal experience," feels qualified to decide what is and is not "radical" about Islam. Consider one example: Allah commands Muslims to "Fight those among the People of the Book [Jews and Christians] who do not believe in Allah nor the Last Day, nor forbid what Allah and His Messenger have forbidden, nor embrace the religion of truth [i.e., Islam], until they pay the jizya [tribute] with willing submission and feel themselves subdued" [Koran 9:29]. In fact, Muhammad's 7th century followers literally acted on this and similar verses (e.g., 9:5), launching the first Muslim conquests, which saw the subjugation of millions of Christians, Jews, and others, and the creation of the "Muslim world." Such jihadi expansion continued until Islam was beaten on the battlefield by a resurgent West some two or three centuries ago. Western scholarly works, before the age of relativism and political correctness set in, did not equivocate the meaning of jihad. Thus the authoritative Encyclopaedia of Islam's entry for "jihad" states that the "spread of Islam by arms is a religious duty upon Muslims in general … Jihad must continue to be done until the whole world is under the rule of Islam … Islam must completely be made over before the doctrine of jihad [warfare to spread Islam] can be eliminated. Islamic law expert and U.S. professor Majid Khadduri (1909-2007), after defining jihad as warfare, wrote that "jihad … is regarded by all jurists, with almost no exception, as a collective obligation of the whole Muslim community." In short, how can a sincere Muslim—by definition, one who has submitted to the teachings of Allah—"moderate" verses like 9:29? How can he "observe reasonable limits" vis-à-vis these plain commands to combat and subjugate non-Muslims? Must Muslims not, at the very least, admit that such teachings are true and should be striven for—even if they do not personally engage in the jihad, at least not directly (but they are encouraged to support it indirectly, including monetarily or through propaganda)? Just recently, reports appeared telling of how Islamic groups in Syria were following Koran 9:29 to a tee—forcing Christian minorities to pay them jizya, i.e., extortion money, in exchange for their lives. In fact, all around the Islamic world, Christians and other minorities are regularly plundered by Muslims who justify their actions by referring to the aforementioned verse. Are all such Muslims being "extreme" in light of the commands of Koran 9:29—which specifically calls for the taking of money from Christians and Jews—or are they simply upholding the unambiguous teachings of Islam? One may argue that, if Muslims are to take Koran 9:29 literally, why are Muslim nations the world over not declaring an all-out jihad on all non-Muslim nations, including America? The ultimate reason, of course, is that they simply can't; they do not have the capability to uphold that verse (and Islamic teaching allows Muslims to postpone their obligations until circumstances are more opportune). It would obviously be silly, if not suicidal, for, say, Saudi Arabia, birthplace of Islam, to issue a statement to the West saying either accept Islam, pay jizya/tribute, or die by the sword. But just because Muslim nations do not currently have the capacity to actualize Koran 9:29, does not mean that they do not acknowledge its veracity and try to actualize it in other places when they can. A quick survey of history before the meteoric rise of Western military might put Islam in check makes this especially clear. Bottom line: If Islam teaches X and a Muslim upholds X—how is he being "extreme"? Seems more logical to say that it is Islam itself that is being "extreme." Similarly, if a self-professed Muslim does not uphold Islamic teachings—including prayer, fasting, paying zakat, etc.—how is he being a "moderate"? Seems more logical to say that he is not much of a Muslim at all—that is, he is not submitting to Allah, the very definition of "Muslim." It's time to acknowledge that dichotomized notions like "moderate" and "extreme" are culturally induced and loaded standards of the modern, secular West—hardly applicable to the teachings of Islam—and not universal absolutes recognized by all mankind.